Blog. Signs, Signifiers and the Signified, Semiotics for dummies. Working with semiotics creates greater impact for your brand and marketing. Semiotic communications is how brands are created. The carefully considered signs and signals build the right perception of a brand over time. In this blog we’re going to delve into the science of semiotic communications as we discuss how brands and advertisers use signs and signals to build brand perception and influence positive decision outcomes. The following blog gives you more insights on semiotics and how you can use them to create greater impact in your communication work. One fine morning our social media team decided to post the great view our office offered. A photoshoot commenced and the team settled on an ‘artistic’ silhouetted image of our HR Manager looking out at an expansive skyline whilst sipping a cup of coffee. It was all set for its moment of glory on the Internet until the Creative Director reviewed it only to find it looked like a Suicide Helpline ad. We marched to his room to discuss the science of semiotics and branding as he declared it to be a learning moment. In the 15-minute discussion, we saw patterns emerge like never before. The dark silhouettes and the person looking out of the window denoted an individual struggling to escape the concrete jungle and traumas of life only to find more suffocating buildings on the outside. With just one image, we were about to transform our perky and quirky feed to look like that of a Suicide Helpline! Now that you ask me, it was a clear fail at semiotics. So What Are Semiotics and How Can You Use Semiotic Communications ? It is the study of signs and symbols and their impact on communicative behaviour and social interaction. It consists of two main concepts – the signifier and the signified. The Signifier is the object or material that can be seen, heard, touched or smelled and the Signified is the concept derived from the signifier. Knowingly or unknowingly, we all depend upon the signified to make our day-day decisions. For instance, if a candidate turns up to an interview in shabby clothes and dirty shoes, no matter how much they know, you are likely to interpret them as disorganised, unprofessional and thus incapable. Signs and semiotics play a big part in the birth of a perception i.e. the building of a personal brand. As branding is all about building and maintaining the right perception, it is important for any brand to focus on their semiotics. Successful brands help their audience maximise satisfaction by achieving their goals and sending the right signals. Apple represents the goal of innovation, creativity, knowledge, sophistication and so on. They communicate these meanings through their products, advertisements and customer service too. Social media is an effective tool to build brand perception as is seen through various successful social media campaigns. Majority of the brain’s activity is focussed on processing sensory information – 90% of which is visual. These social media campaigns are great measurable platforms designed to make the consumer believe something about the brand through signs and visuals they present. Take for example the brilliant ‘Everyday Congrats’ Campaign led by Tina Fey for American Express to promote the Blue Cash Everyday Amex Card. 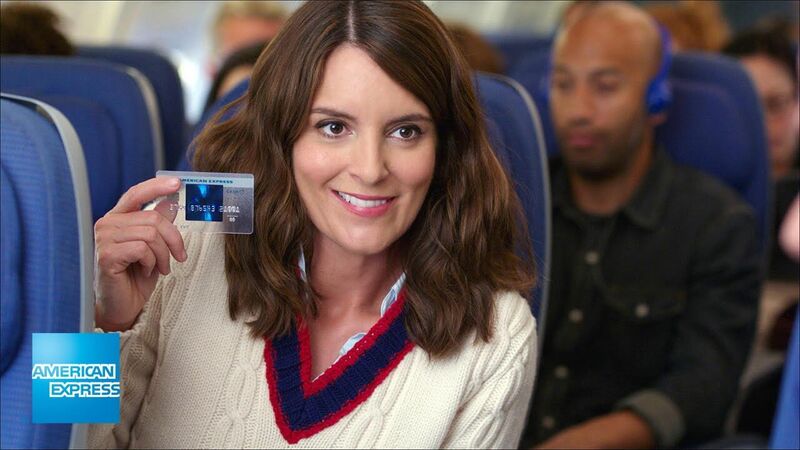 Amex expanded on the idea of Tina Fey congratulating millennials on every day victories by using Facebook’s API to find the most popular ‘adulting’ topics such as the first dinner party, meeting the parents or flying with a newborn. The entire concept was simply based on the fact that ‘adulting’ is hard – sometimes even harder than it looks. The campaign enabled Amex to be viewed as a genuine and trusted friend of the millennials, relating to their everyday struggles and celebrating their little victories. The signifier i.e. Tina Fey’s goofy personality in stories, videos, and status updates helped signifying a supportive but not patronising brand message to the millennials – a clear TA for the company. The result? 30 million views and 20% increase in brand consideration for AMEX within a period of 6 months. Clearly, just like any conventional campaign, all it takes is the right amount of observation, goal-setting, and strategy to achieve the desired results. Brands need to focus on giving off the right signs to their TA and building the right perception using the multi-faceted tools the wonderful world of social media has to offer! So, unlike us, the next time you put up a post on social media, don’t forget to observe and identify what it signifies about your personal or professional brand. Learn more about this great campaign by clicking here. For more interesting blog posts click here. Apple has created a perception of innovation by carefully crafting its message using semiotics. The name Apple was coined when all other computer firms were called 'something-soft' or 'tech-something' - the name was coined as they wanted to signal that they 'think' and were different. Fey's goofy personality signified a genuine and supportive image for AMEX. They could have chosen any personality to connect with millennial but purposefully chose Fey as she sent the right signal to AMEX's audience. Blog. Daily Tribune interview on branding in Bahrain. One of Bahrain's local English dailies popped by our offices for a quick catch up on all things branding and design related in the Kingdom - jolly nice it was too.